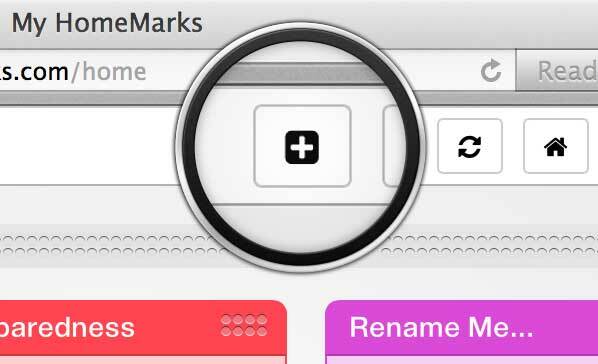 Become a HomeMarks power user and tame your Internet workflow. 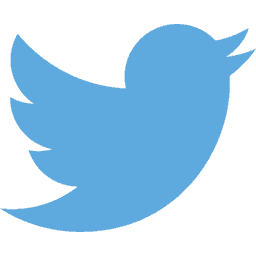 If you do not find what you are looking for below, reach out to us on Twitter or start a conversation with Get Satisfaction. Browse the following sections to learn all about HomeMarks. 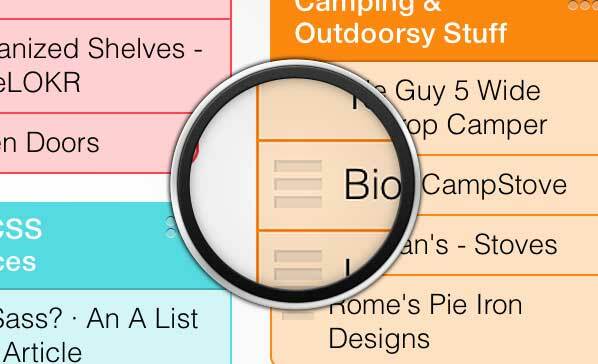 Bookmark while on the go. 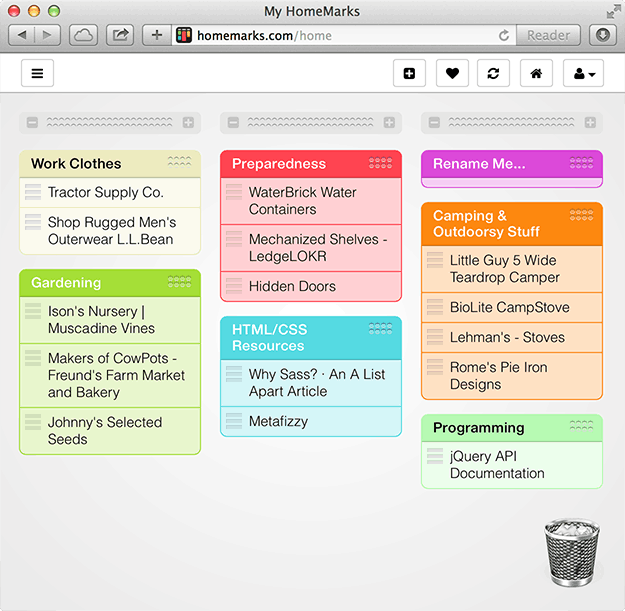 Organize and build your HomeMarks start page using your (HomeMark-It) browser bookmarklet. By default all bookmarks go to your HomeMarks inbox or you can add them to any existing box. 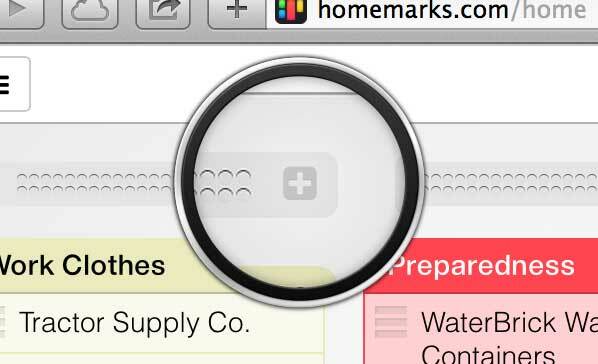 Browser - Once you log into HomeMarks, look toward the upper right and find the heart button in your toolbar. 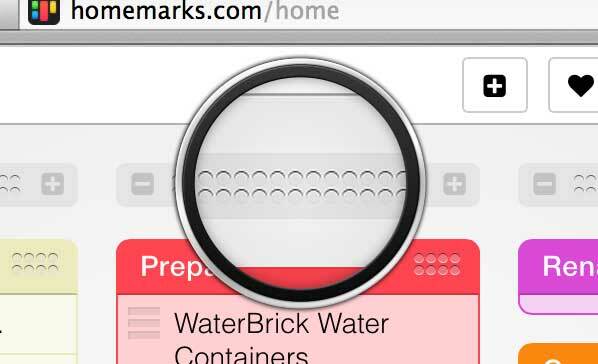 Now make sure your bookmark bar is visible then drag the heart icon to your bookmark bar and drop it there. iPad - You must be logged into your HomeMarks account before proceeding. Tap inside the field once, then tap and hold for a few seconds, when you release tap Select All in the popup menu and then tap Copy. 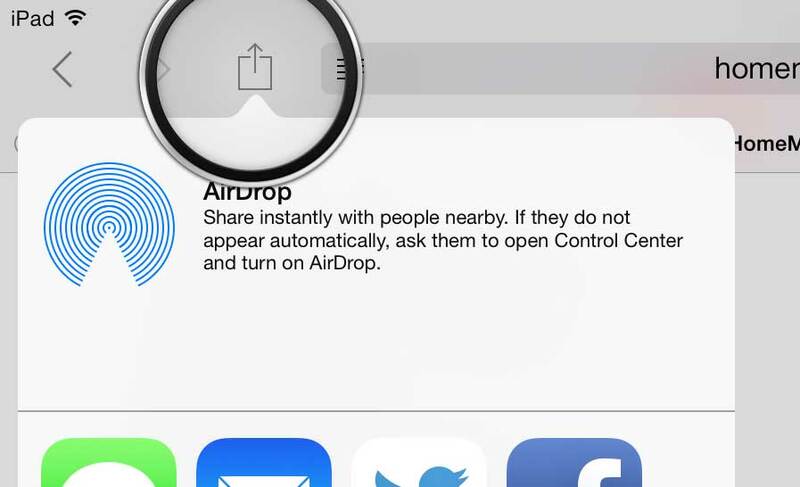 Tap the Share icon in Safari's header. 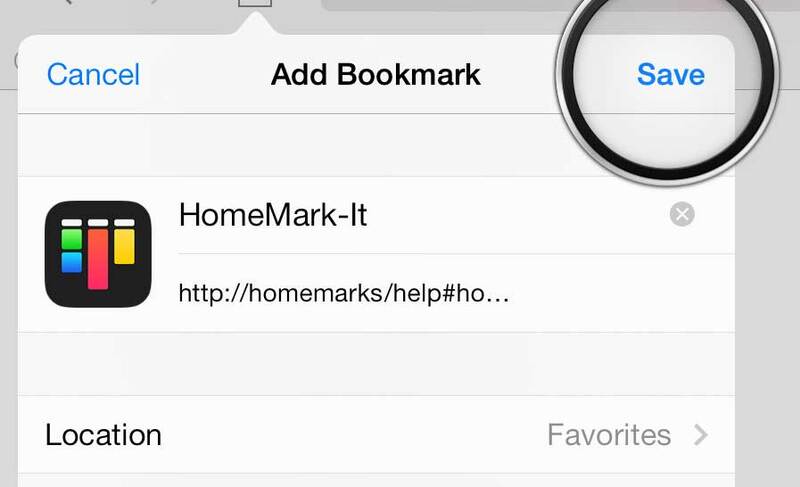 Select Bookmark and change the name of the bookmark to "HomeMark-It" if needed. Tap Save. 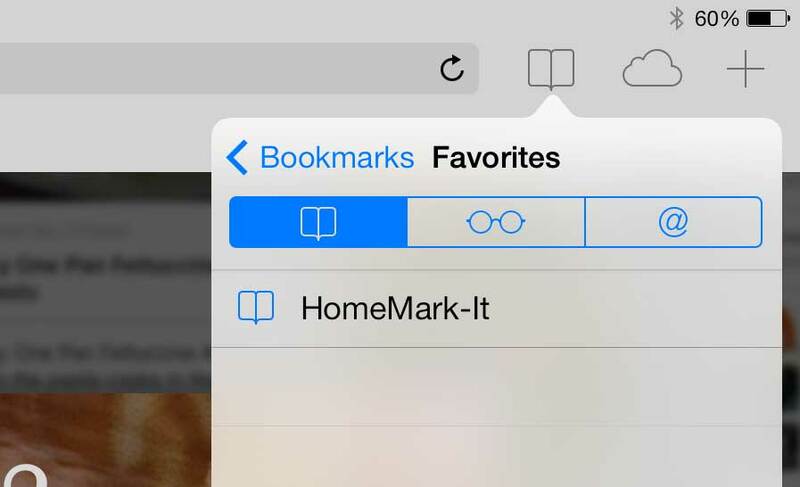 Open your Bookmark Favorites by tapping the Bookmarks icon in Safari's header. 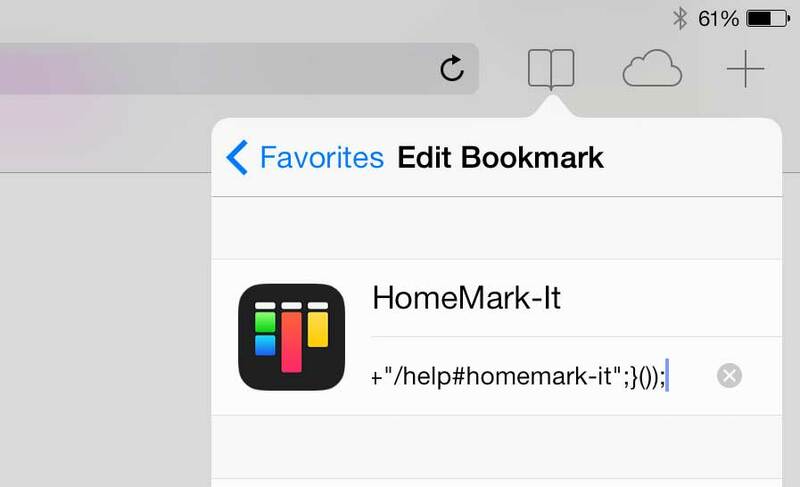 Choose Edit then edit the "HomeMark-It" bookmark by tapping on it. Paste the code you copied in step #1 into the address field below the "HomeMark-It" name. Use the (x) button to easily clear it. Now anytime you want to HomeMark a site. 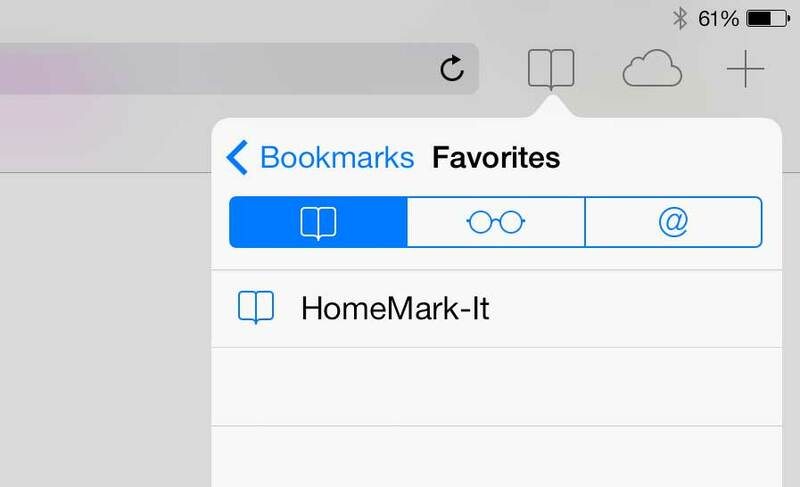 Tap your Bookmarks button and touch "HomeMark-It". 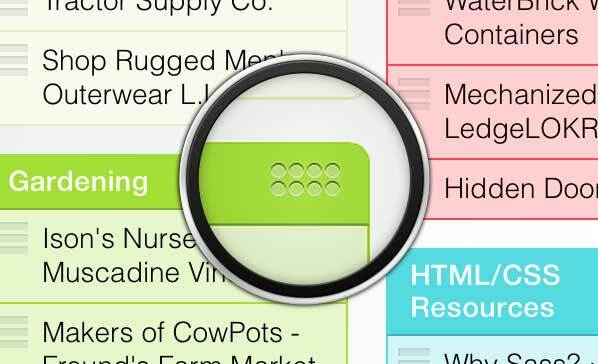 Bookmarks are organized within boxes that are themselves stacked within horizontal columns. Each one of these objects can be dragged by their handles and sorted to fit your organizational needs. Create new boxes by clicking [+] button above each column. New boxes appear at the top of each column. 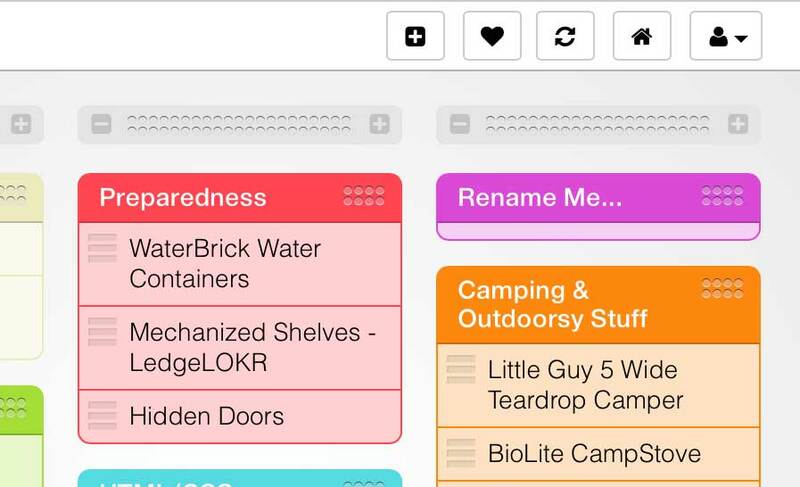 Add new columns by clicking the [+] button in the top toolbar. New columns appear on the left side of your screen. 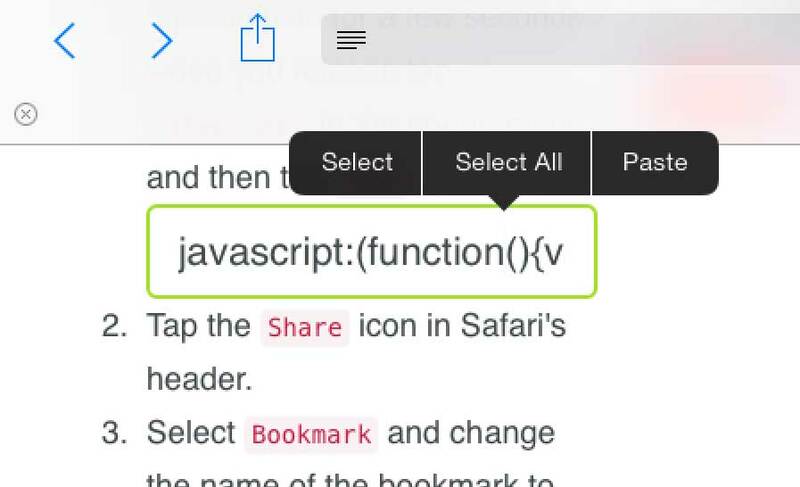 Edit its bookmark's name or location. Collapse the box to save space. 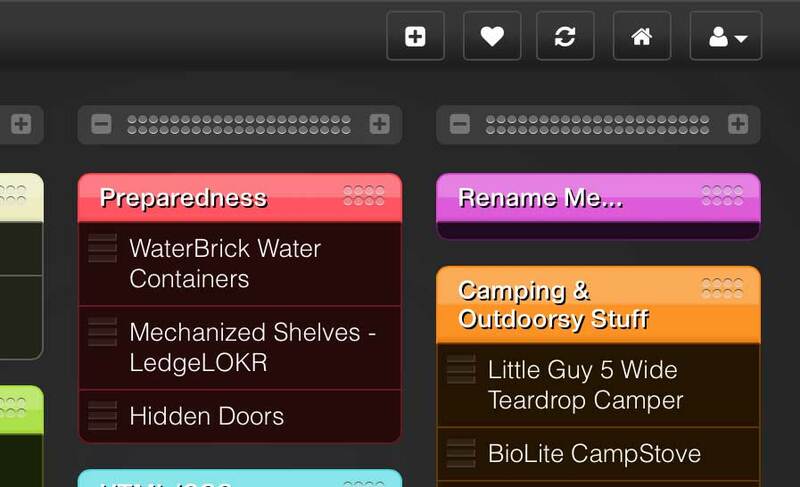 Delete the box along with all its bookmarks. Individual bookmarks can be dragged to the trashcan where it will stay until you empty the trash. 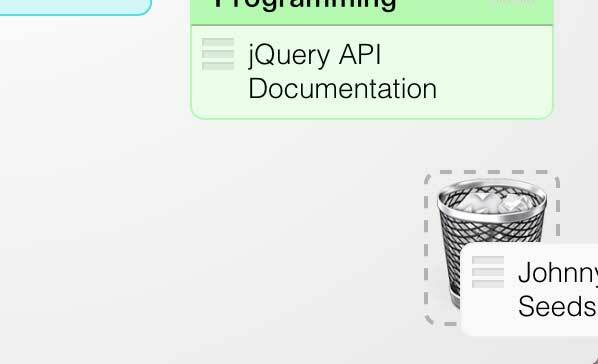 Click the [-] on the left hand side of each column's header to delete the column along with its boxes and bookmarks. HomeMarks sports two themes. The default is our new and modern flat white. This theme is perfect for those that love Apple's iOS 7 look and feel. We also have a classic beveled black theme that legacy HomeMarks users and contrast junkies will be sure to love. 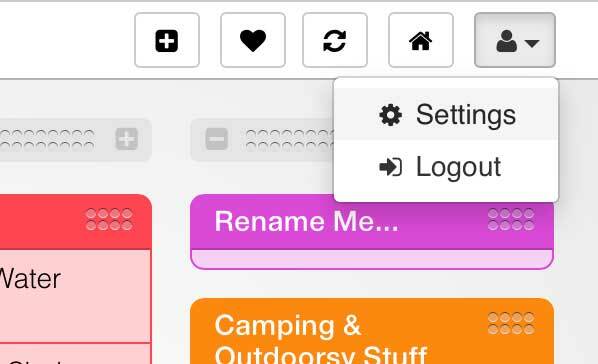 Switch between them by selecting the [Settings] option within the user dropdown toolbar item. Then select either the light or dark option. The following keyboard shortcuts can help you navigate your HomeMarks start page more quickly. i - Toggle inbox panel. t - Toggle trashcan panel. 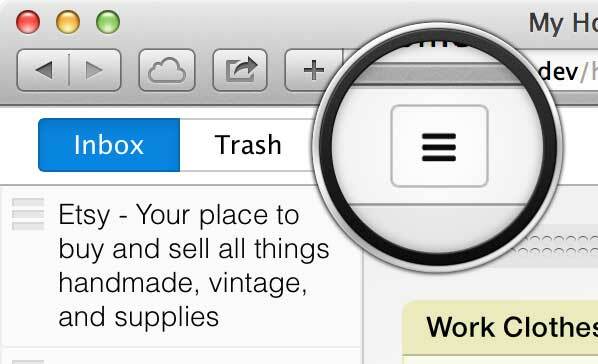 ` - Toggle inbox/trashcan panel. Whichever was last viewed. e - Empty the trash. r - Refresh the page. 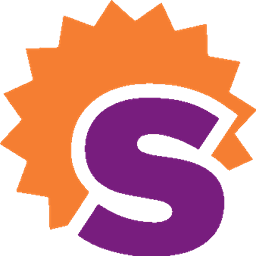 HomeMarks requires a modern browser. I make no guarantee that it works on anything other than Chrome or Safari. That said, Firfox should work - but it performs horribly and may feel sluggish. If you have any problems on the latest Chrome, Safari, or Internet Explorer, let us know on Get Satisfaction and we will try to help. 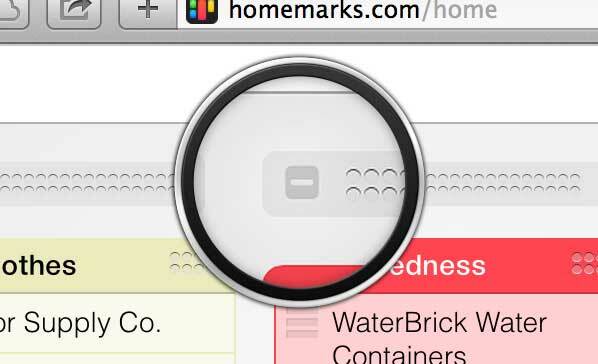 You can make all HomeMarks link open a new browser tab. To do this, turn on Tab Links by selecting the [Settings] option within the user dropdown toolbar item and then turning on Tab Links. Not all browsers support tabs. Those that do not will open a new window when Tab Links is enabled.